A school isn't just a building. So much more is needed to make education a success. If you have spent any time in Africa, it is impossible not to be affected by the multitude of problems that people are facing every day. The future of the continent, and its ability to play its part on the world stage, will depend critically on the quality of education that children receive. 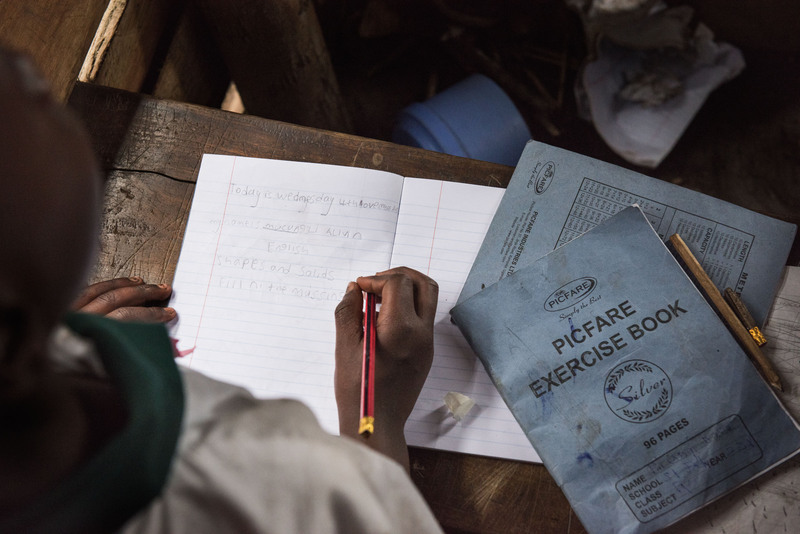 Even when a country is in turmoil, if children have access to a stable educational system, the groundwork for future progress will be established. This is critical on so many levels, not just for individual achievement but for economic and political stability, and as a counter to ignorance and terrorism. A great number of schools have been built in deprived areas in Africa, undoubtedly with the best of intentions, but many have ultimately failed as a means of educating children. Philanthropists in the West are skilled at raising money to build schools; it is easy to persuade donors that it is a manifestly good thing to do. But it is far more difficult to get people to make a long-term commitment to provide the resources that actually make a school work: course materials, textbooks, equipment and, of course, teachers' salaries. Without ongoing investment schools simply fail to operate, and the value of the initial investment is lost. This is a scenario that is widespread throughout Africa. During my time in South Africa, Uganda, Nigeria and Ethiopia I was given the same message time and time again: parents fervently want their children to be educated, so that they can eventually get a good job and create a better future for themselves. Project Hello World chose to think creatively. We came up with a plan that can be applied anywhere, whether linked to a school or not, and which provides an imaginative solution to the problems of limited resources and poor quality teaching. 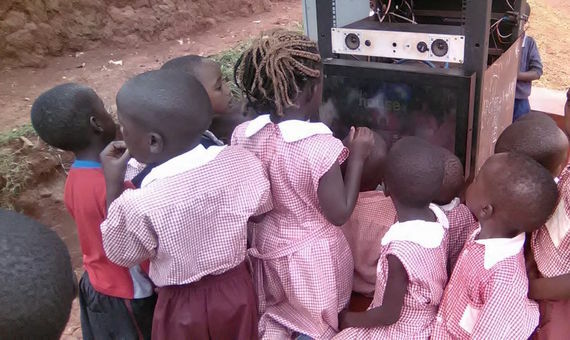 Our Hello Hub is an outdoor, solar-powered Internet kiosk which is loaded with educational equipment and is freely available to all in the community, young and old, pupils and street children. The Hub is a rugged piece of apparatus, built with state-of-the-art technology. Its waterproof touch screen monitors, cameras and audio equipment are designed to withstand the harsh African climate. Each Hub is WiFi-enabled and provides unlimited access to the Internet. Children can access sophisticated digital learning software, research the Web, take photographs, make and edit movies, and speak to people in other parts of the world via Skype and other messaging services. We have found that children are eager to learn and demonstrate a limitless capability to teach themselves. Sharing one screen, as happens at the Hello Hub, doesn't limit the possibilities. In fact the opposite is the case. We often see 10 children at any one time, enthusiastically engaged, learning from each other, exchanging ideas and solving problems. We currently have five Hello Hubs up and running - four in Uganda, and one in Nigeria. I want to see that number increase dramatically as we prepare to scale up during the next couple of years. The Hubs are an affordable way of achieving the aim of universal education. The cost of each Hub reduces dramatically with economies of scale. Apart from the technical innovation, another thing that differentiates Hello World from many other education projects is that each Hello Hub is built by the community, not by us. Our job at Projects For All is to identify the community members' needs, train them, provide hardware, and guide them through the process in an equal partnership. For long term success, the close involvement of the community is crucial. It is a substantial undertaking. We have found that, by the end of the build, a significant transition will have taken place. When members of a community own a project, and can take pride in their achievement, they value it and make sure it is kept secure. This isn't a handout - we are providing the tools, but they are the architects. Even if I was inclined to make decisions on behalf of a community, I wouldn't necessarily come up with the right answers. Members of a community are the ones who must ultimately dictate the learning process. We provide them with the groundwork, and then we wait to see what emerges when their curiosity is given free rein. Inevitably, there are societal issues and prejudices that come into play and have to be addressed. For example, in most of the communities we visit there is a regimented gender-based hierarchy, with the result that women are not afforded the same opportunities as men. When women want to use the Hello Hubs it is up to them to find a way to do it. After all, they understand the cultural nuances far better than we ever could, so any solution has to start with them. We run women's groups to provide a forum for discussion of these issues and support their ideas and innovations. 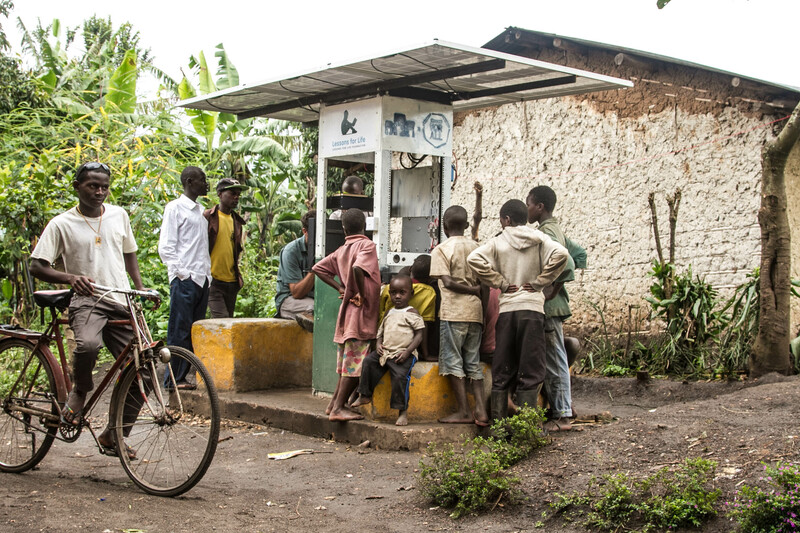 In the next five years we aim to build 30 or more Hello Hubs. The objective that we will be pushing for most energetically will be to install our Hubs in Middle Eastern and African refugee camps. Because each Hub can be used by many people at any one time, we can reach out to these isolated people in an entirely new way and, in particular, enable children to learn and, even more crucially, play. The healing effect of this interaction cannot be overemphasised. Without interventions such as the one we propose, we are in danger of creating a lost and deeply troubled generation. We can only guess at the future consequences of such extreme deprivation and isolation. Although it will be a challenging and complicated process, it is one we are ready to take on. We are aiming high because we want to make a difference in some of the world's most hostile and cruel environments. It is a cause worth fighting for. The children are worth it.